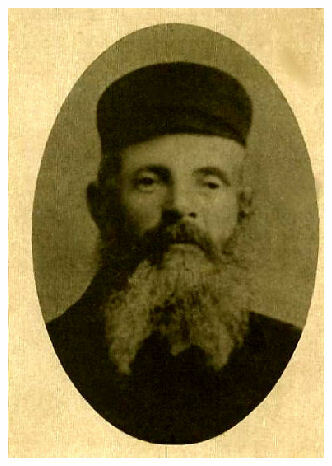 Itzhak Moshe Dombek, Sonia's maternal grandfather. At the far left is Sonia's mother, Hinda Leah Dombek. 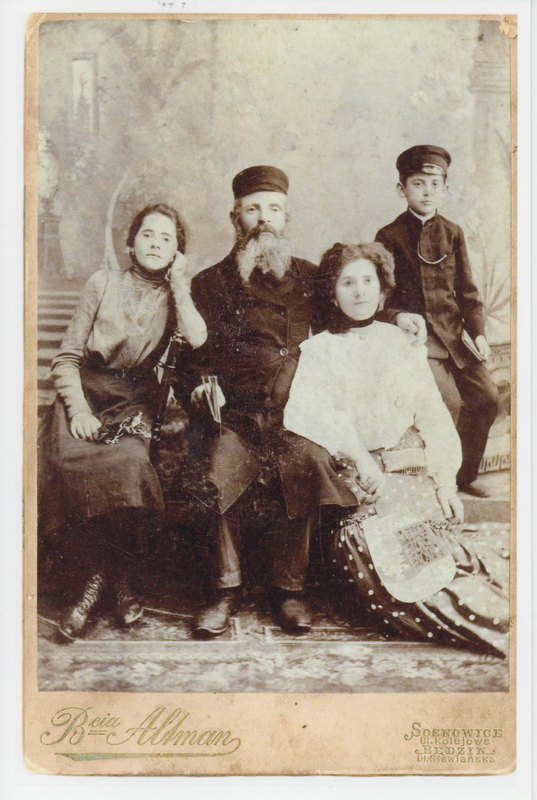 Next to Hinda Leah is her father, Itzhak Moshe Dombek. The other two people in the photograph are unknown; perhaps they were siblings of Hinda Leah. Taken in Poland before July 1913.